Another haul post here. 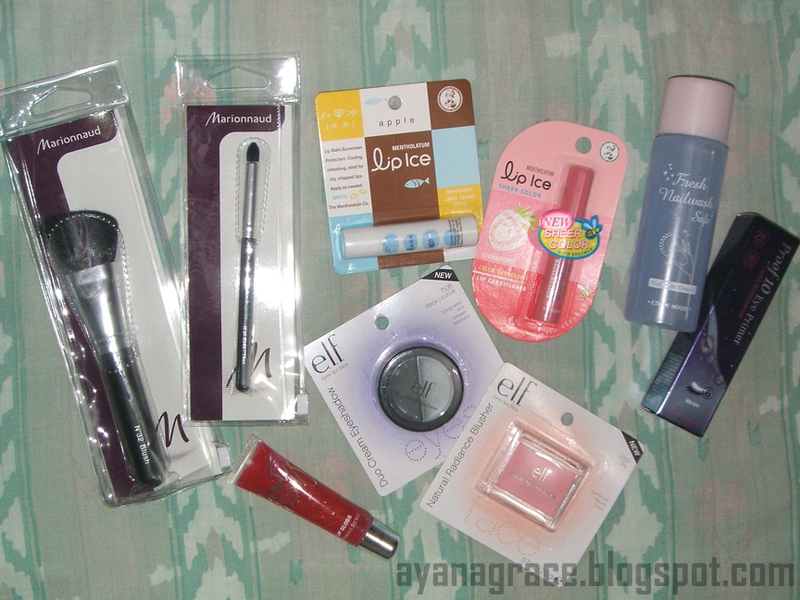 Got these stuff from SM Department Store and Etude House last weekend. 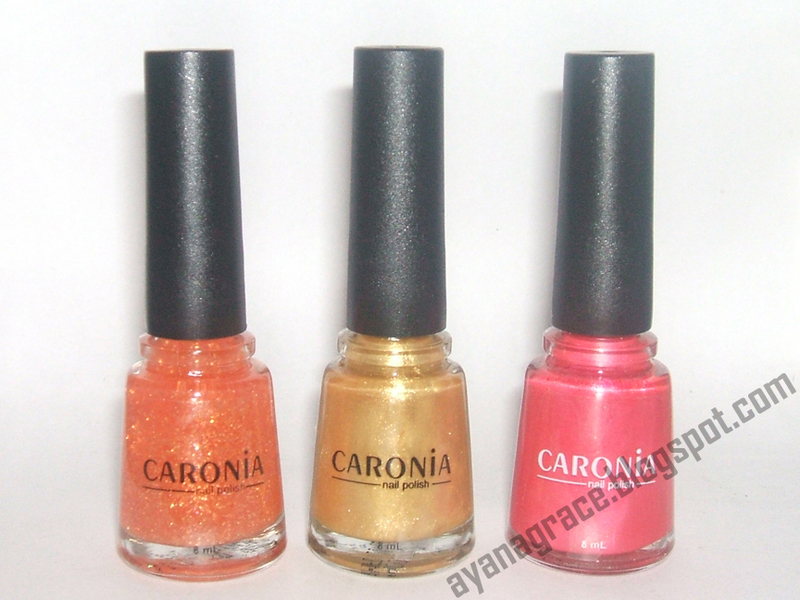 My ultimate weakness: Caronia Frosted polishes. Gaaaaaah. wooow! good thing your dad "sponsored" you.. my dad would never understand why i have to buy so many shades of nail polish haha! @Hazel, LOL yeah. He pays for them but later questions my buying lots of stuff. Men. Hahaha! Hey I've been meaning to get Marionnaud brushes too! Are they nice? And that ELF eyeshadow, I'm just not a fan of the cream ones, I don't know how to use them haha. and the ETUDE HOUSE EYE PRIMER!!! Eek. I want one of those!!! What branch did you get it? I'm hoping to get back on track with posting again! Really do miss it..
@Elaine, the brushes are good (the blush and pointed one. haven't used the powder brush yet). The cream shadow doesn't last long on me. LOL oily lids much? Hehe. As for the eye primer, I was surprised to see that they have it on stock in the SM Fairview branch. I think they had two bottles at that moment. I grabbed one without thinking. HAHAHA. And yes, Caronia polishes stains my nails big time. But I just can't resist the gorgeous shades! I've heard of Dollface raves too. I wonder where I can get those though. Re: Brushes, ELF or Marionnaud? :) I hear Elianto is closing down, everything is on sale already. :( I love their polishes pa naman. @Elaine, you can get them from here: http://dollfacecosmetics.com.ph/. And Elianto's closing??? So that's why the branch near me disappeared. Hahaha I haven't tried their polishes pa! Oh no :[ As for the brushes, mixed. Some ELF brushes are good and some are not. Same with Marionnaud. ELF has really good eye brushes. Marionnaud... 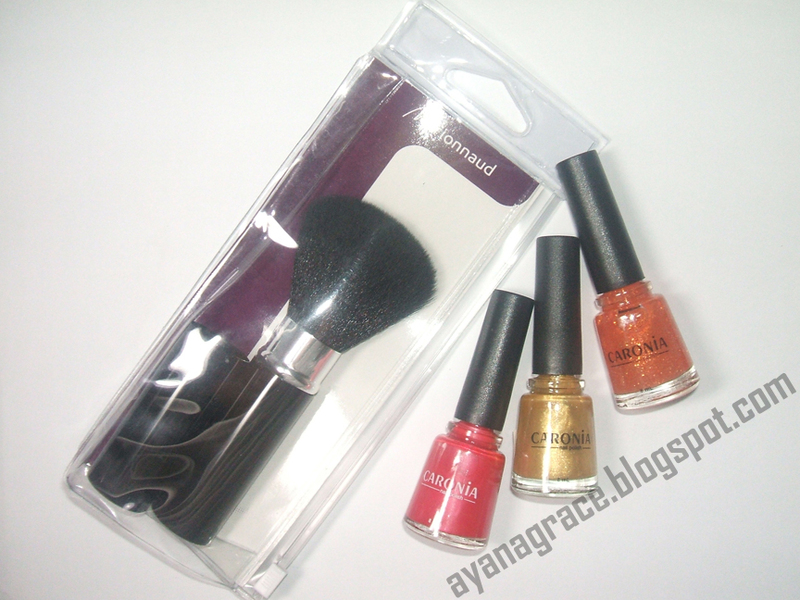 I really like the pointed e/s brush and the blush brush! Hi Aya, I suggest to add in those Brushes, the Elf Blending brush and eyeshadow brush, but other than that, I prefer the Marionnaud brushes more. They are better in quality and I love the black color...hehe... you can skip the elf eyeshadow brush, but I highly suggest the Elf Blending brush because it's very useful. it's one of my most used brushes, really does a great job with blending my eyeshadows. by the way, thanks for joining my giveaway.